Product Details-Features-with macadamia nuts for a healthy coat neutral pH for a glossier skin. suitable for both long and short coats. Directions for Use-Wet the coat with warm water. Massage the shampoo deep into the coat and obtain good lather. Let it stay for 2-3 minutes and then rinse properly. Use-for healthy and shiny hair coat and soft skin for cats.Suitable-Cats, Quantity-250 ml. 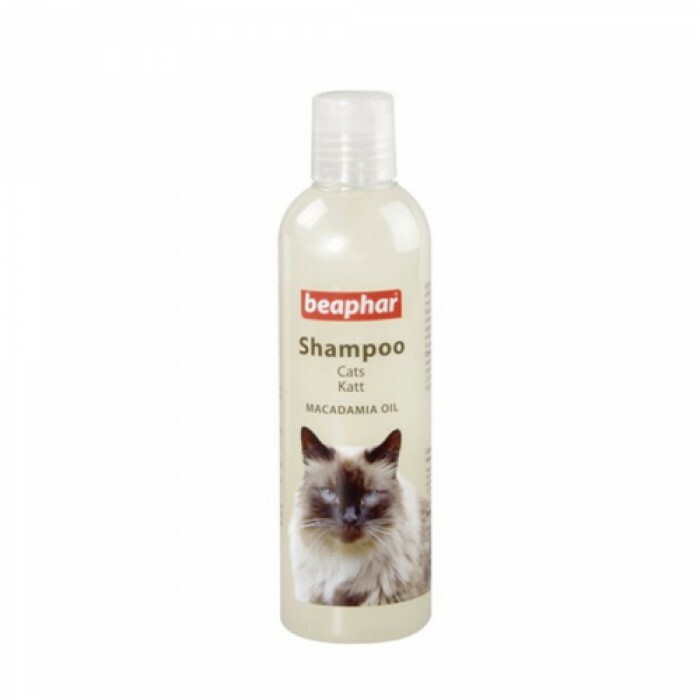 Product Information-Beaphar offers a super quality shampoo with Macadamia Oil to care for the skin and coat of your pet cat. Both long and short coats can be properly washed through the high quality ingredients. Macadamia Oil nourishes the skin and coat to bring out a healthy skin a damage free, softer and glossier. It has a neutral pH that gives a glossier skin and hence provides nourishment. The skin and coat of your pet cat is cleaned, smoothed and made lustrous by this quality shampoo. Enriched with Macadamia oil, the shampoo treats the rough or damaged hair and brings out their natural beauty and softness of your cats fur.This shampoo is a rich, premium shampoo. It is a specially formulated deep conditioning shampoo for cats. This shampoo contains macadamia oil to bring life and condition to the dullest coat. Wet the coat with luke warm water. Massage the shampoo into the coat until it lathers. Leave for 2-3 minutes. Rinse thoroughly.